The Martindale-Hubbell® Peer Review Ratings™ are an objective indicator of a lawyer’s high ethical standards and professional ability, generated from evaluations of other lawyers by other members of the bar and the judiciary in the United States and Canada. Martindale-Hubbell® Peer Review Ratings™ reflect a combination of achieving a Very High General Ethical Standards rating and a Legal Ability numerical rating. AV Preeminent® (4.5-5.0) is a significant rating accomplishment; the lawyer’s peers rank him or her at the highest level of professional excellence. Attorneys David T. Pearlman, Malcolm Crosland, Kevin Holmes, Tom White, Steven Goldberg, and Michael Jordan have all received AV Preeminent ratings from their peers. BV Distinguished® (3.0-4.4) is an excellent rating for a lawyer and a widely respected mark of achievement, differentiating a lawyer from his or her competition. Attorney Benjamin W. Akery has a BV Distinguished rating. 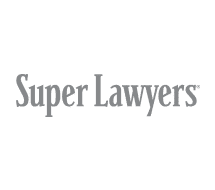 Super Lawyers is a rating service of outstanding lawyers from over 70 practice areas who have attained a high degree of peer recognition and professional achievement. The selection process is multi-phased and includes independent research, peers nominations, and peer evaluations. Best Lawyers is the oldest and most respected peer-review publication in the legal profession. A listing in Best Lawyers is widely regarded by both clients and legal professionals as a significant honor. For more than 30 years, Best Lawyers lists have earned the respect of the legal industry, the media, and the public as the most reliable, unbiased source of legal referrals anywhere. Lawyers cannot pay a fee to participate in or be included on the lists. 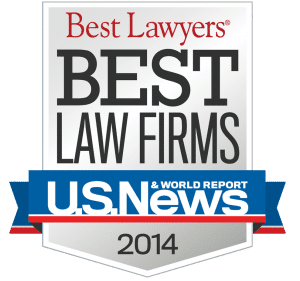 Best Lawyers recently partnered with U.S. News & World Report, the leading rankings publication in the U.S., to rank law firms in the United States. Steinberg Law Firm was proud to receive the award for Best Law Firm in Charleston, SC for Workers’ Compensation Law – Claimants in 2014. Avvo is one of the most popular legal forums and attorney directories on the internet. Over 95% of lawyers in the U.S. are rated on a scale of 1-10 by Avvo. The website provides information and tools to help people find lawyers, research advice, and get answers to common legal questions. The Avvo rating is calculated using an algorithm that considers a lawyer’s years in practice, disciplinary history, professional achievements, industry recognition, and other factors that are relevant to assessing a lawyer’s qualifications. The Avvo rating is unbiased and easy to understand for those without legal training. The model used to calculate the Avvo Rating was developed with input from hundreds of attorneys, thousands of consumers, and legal professionals. The Million Dollar Advocates Forum and Multi-Million Dollar Advocates Forum are some of the most prestigious groups of trial lawyers in the country. Membership is limited to attorneys who have won million and multi-million dollar verdicts and settlements. There are over 4000 members throughout the U.S., and less than 1% of lawyers are members. Only lawyers that have demonstrated, in an objective and tangible way, their ability to accomplish superior results in complex cases have been able to join the Million-Dollar Advocates forum. Certification by the Million Dollar Advocates Forum provides recognition of such accomplishment and a national network of experienced colleagues for information exchange, assistance, and professional referral. Steinberg Law Firm is proud to say attorney Kevin Holmes is a member of the Million-Dollar Advocates forum. The College of Workers’ Compensation Lawyers was established to recognize attorneys who have distinguished themselves in their workers’ compensation practice. Members are nominated for outstanding traits developed over 20 years or longer, and possess the highest qualifications, character, integrity and professional expertise. Attorneys David Pearlman and Malcolm Crosland were named fellows of the CWCL in March of 2014.